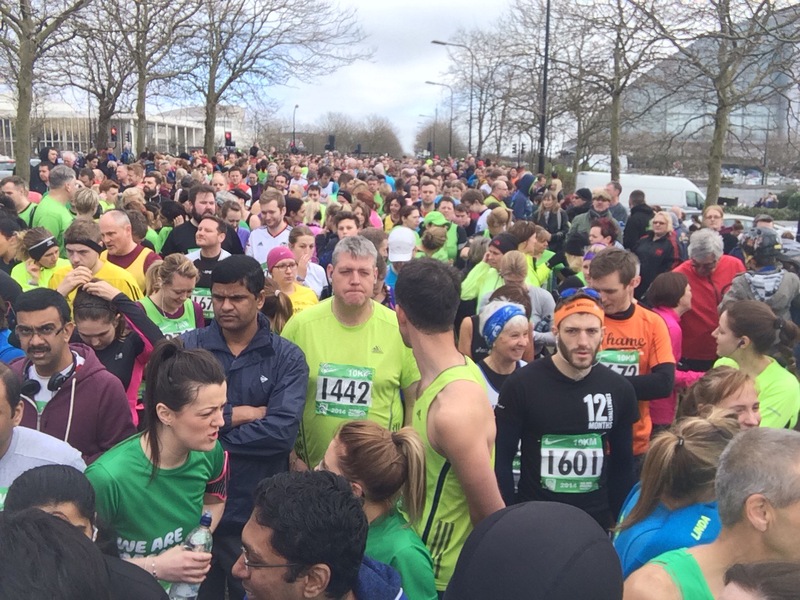 Fitness Diary – First race of the season…DONE! 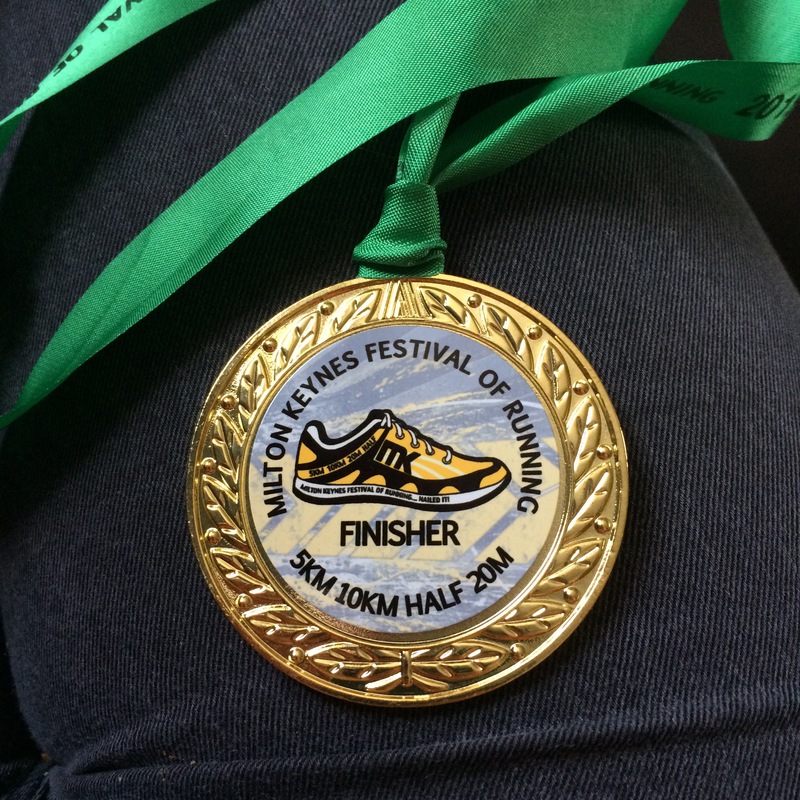 I’ve been looking forward to this weekend for weeks as I’ve had really itchy feet to do an event (and get some bling) and this weekend it was final time for the first one of the year, the 10k at the Milton Keynes Festival of Running. We got there nice and early, there were 4 distances in total on the day starting with the 20 mile which a few friends from club were running so once we cheered them off it was time to get focussed. This event was by far the biggest one I have done so far and the 10k seemed to be the most popular distance. It was an odd feeling being surrounded by so many people – all shapes, sizes, and abilities but all with the same goal. As this was my first official 10k, my aim for the day was to just run my own race, listen to my body and push when I felt like I could. Aside from one encounter with a very rude runner hurling abuse at some 5kers who were struggling a little, the atmosphere on the way round was really good. Lots of people cheering you on, especially in the second half which I was surprised actually does really help! Pace wise I was surprising myself at the speed I was running – 9:20 miles which is very fast for me for that distance and I was feeling strong, until I saw ‘it’ in the distance. A lot of people had been talking about ‘the hill’ in the last mile, something I thought was odd as anyone who has been to Milton Keynes knows, its pretty flat certainly in the centre where we were. I didn’t know the course route so as we hit a steady incline at the start of mile 6 I thought OK, this isn’t so bad. I can do this after all. That was until I turned a corner and there in the distance I saw it. 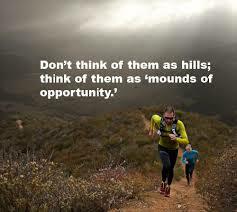 At that point I had been pushing pretty hard and knew there was no chance I had enough left in me for that hill. So the strategy was, push right up to the hill, speed walk up, and then sprint the rest of the way. It wasn’t ideal as I was determined to get round without stopping but this way it meant had enough left in me for a little sprint finish and finish in style 🙂 As I stumbled across the finish line and collapsed on the grass, I was gutted when I realised I forgot to stop my watch! Waiting anxiously for results to go up online I knew I was really close to a PB and the goal for the year, a sub 1hr 10k. Even with the little uphill walk I managed 1:00:37, over a minute off my PB and so close to the end goal! I was so pleased with that and has made that goal feel so close! My next event is a 10k on 22nd March, course wise, I don’t envisage it being a PB as it is reasonably hilly so the tactics for this one is to get round with out stopping and not let those hills defeat me! This week has been a mixed week. Some real successes but a few blips too. Following all the trail runs we did over the Christmas break, this week it was back to road running. I’ve been using my new runners which I bought from Sweatshop over Christmas along with some customised insoles. They had a hefty price tag at £45 so was expecting really good things from them but unfortunately after a couple of 3-milers at the beginning of the week I was feeling a little pain in my ankles, so I swapped them out for my old Sole insoles. I’d been sent these a while ago to review but due to my injury and break in blogging, I never actually got round to it. You can pop these in the oven to help mould them to your foot shape or just pop them in your shoe and they will over time adapt to the shape. I opted to just pop them in and go and thankfully, I’ve been injury free since using them for the last 5 months. I’ve been out in my new shoes with these insoles in a couple of times now and my ankle pain has gone again. I think it’s because I have high arches. The Sweatshop ones don’t seem to support my arches sufficiently but the Sole ones are much more supportive. I’ll be sticking with them for now and returning the sweatshop ones – that is the great thing about sweatshop, the customer service is fantastic! So what didn’t go so well this week? I ran a quickish mile before speed and stamina this week and then started the one mile loop sessions. Aiming for 3 in half hour, I actually only managed just under 2. I think a lot of it was to do with the ankle pain and I probably went out a little fast on the first one! 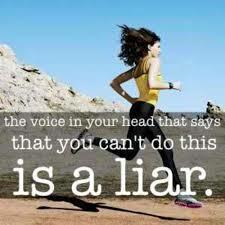 Successes this week, Tuesday night we had a 5k time trial, my first proper road run since before Christmas. I didn’t get a PB but I did come in just over 30 mins so that’s not too bad for me. My biggest success was today when I ran my first proper 10k attempt in 1.09:50. My aim is to get under an hour by the end of this year so I’m pretty proud of that. Hopefully I’ll soon shave off those 10 mins with a bit of stamina training – my legs felt really good and I probably could have carried on. I actually found the first 3 miles a lot harder than the second three. All in all a good week!